Niki is a geologist in the Geology, Minerals, Energy, and Geophysics Science Center. In 2007, she joined the USGS in Menlo Park, CA but now works in Spokane, WA. She earned a B.S. 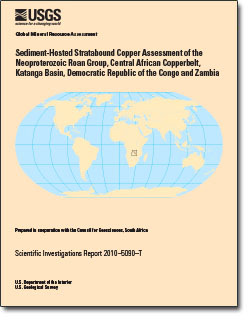 in Earth Sciences from California Polytechnic State University in 2004, an M.S. in Geology from San Jose State University in 2009, and is currently working on a Ph.D. in Geology from Washington State University. With specialized skills in geochronology, geochemistry, and structural geology, Niki investigates nationally important ore deposits. The Yellow Pine/Stibnite gold-antimony-tungsten mining area in central Idaho is her current research focus, and it holds the largest resource of the nationally critical commodity antimony. 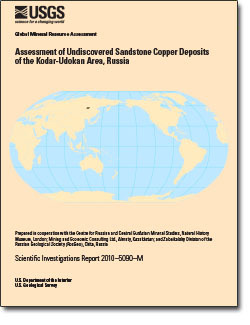 She is constraining the age of tungsten and antimony mineralization, unique geochemical signatures in the ore host rocks, and the ore-controlling structural setting that all provide insight into why mineralization formed when and where it did. 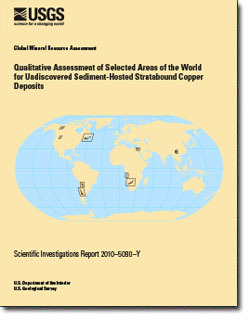 2009-present, Geologist, U.S. Geological Survey, Spokane, WA. 2007-2009, Geologist, U.S. Geological Survey, Menlo Park, CA. Zientek, Michael L.; Hammarstrom, Jane M.; Johnson, Kathleen M.; Zientek, Michael L.; Wintzer, Niki E.; Hayes, Timothy S.; Parks, Heather L.; Briggs, Deborah A.; Causey, J. Douglas; Hatch, Shyla A.; Jenkins, M. Christopher; Williams, David J.
Zientek, M.L., Wintzer, N.E., Hayes, T.S., Parks, H.L., Briggs, D.A., Causey, J.D., Hatch, S.A., Jenkins, M.C., and Williams, D.J., 2015, Qualitative assessment of selected areas of the world for undiscovered sediment-hosted stratabound copper deposits: U.S. Geological Survey Scientific Investigations Report 2010–5090–Y, 143 p., and spatial data, http://dx.doi.org/10.3133/sir20105090Y. 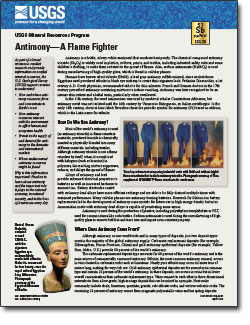 Wintzer, Niki E.; Guberman, David E.
Wintzer, N.E., and Guberman, D.E., 2015, Antimony—A flame fighter: U.S. Geological Survey Fact Sheet 2015-3021, 2 p., http://dx.doi.org/10.3133/fs20153021. Zientek, Michael L.; Chechetkin, Vladimir S.; Parks, Heather L.; Box, Stephen E.; Briggs, Deborah A.; Cossette, Pamela M.; Dolgopolova, Alla; Hayes, Timothy S.; Seltmann, Reimar; Syusyura, Boris; Taylor, Cliff D.; Wintzer, Niki E.
Assessment of undiscovered sandstone copper deposits of the Kodar-Udokan area, Russia: Chapter M in Global Mineral Resource Assessment; 2014; SIR; 2010-5090-M; Global Mineral Resource Assessment (Scientific Investigations Report 2010-5090); Zientek, Michael L.; Chechetkin, Vladimir S.; Parks, Heather L.; Box, Stephen E.; Briggs, Deborah A.; Cossette, Pamela M.; Dolgopolova, Alla; Hayes, Timothy S.; Seltmann, Reimar; Syusyura, Boris; Taylor, Cliff D.; Wintzer, Niki E.
Taylor, Cliff D.; Causey, J. Douglas; Denning, Paul; Hammarstrom, Jane M.; Hayes, Timothy S.; Horton, John D.; Kirschbaum, Michael J.; Parks, Heather L.; Wilson, Anna B.; Wintzer, Niki E.; Zientek, Michael L.
Descriptive models, grade-tonnage relations, and databases for the assessment of sediment-hosted copper deposits--with emphasis on deposits in the Central Africa Copperbelt, Democratic Republic of the Congo and Zambia; 2013; SIR; 2010-5090-J; Global Mineral Resource Assessment (SIR 2010-5090); Taylor, Cliff D.; Causey, J. Douglas; Denning, Paul D.; Hammarstrom, Jane M.; Hayes, Timothy S.; Horton, John D.; Kirschbaum, Michael J.; Parks, Heather L.; Wilson, Anna B.; Wintzer, Niki E.; Zientek, Michael L.
Ludington, Steve; John, David A.; Muntean, John L.; Hanson, Andrew D.; Castor, Stephen B.; Henry, Christopher D.; Wintzer, Niki; Cline, Jean S.; Simon, Adam C.
Mineral-Resource Assessment of Northern Nye County, Nevada - A Progress Report; 2009; OFR; 2009-1271; Ludington, Steve; John, David A.; Muntean, John L.; Hanson, Andrew D.; Castor, Stephen B.; Henry, Christopher D.; Wintzer, Niki; Cline, Jean S.; Simon, Adam C.